The first disc of the "Seventh Star" expanded reissue will include the album as well as the remixed version of "No Stranger to Love", which appears in the music video of the same. Disc 2 is a live concert recorded on June 2, 1986 and has Ray Gillen on vocals. Il faut dire qu'après la tournée Seventh Star amputée de la date parisienne initialement prévue le 8 juin 1986 , Ray Gillen , pressé par Iommi pour travailler sur un nouvel album dès le mois de juillet , eut énormément de mal à "articuler ses idées de paroles" (cf : La Bête de Birmingham de Guillaume Noos) sur les mélodies proposées par l'énigmatique guitariste. Tout ceci se passe aux studios Air de Montserrat. Dave Spitz , le bassiste d'alors n'a d'autre occupation que d'appeler en permanence sa dulcinée , ratant ainsi plusieurs séances de répétitions. Iommi , voyant que les choses trainaient , congédia Spitz et appela Bob Daisley , qui , outre le fait d'être un grand bassiste , est aussi un très bon parolier. Il participa aux textes de Blizzard Of Ozz , Diary Of A Madman, Bark At The Moon et No Rest For The Wicked. Aux alentours du 11 octobre 1986 , le groupe dispose d'une douzaine de morceaux , ce qui incite Iommi à proposer à Daisley le job de bassiste permanent au sein du Sab. Offre que refusa Daisley puisqu'à l'époque il était sous contrat avec Gary Moore. Fin novembre , Daisley s'en va et l'album est achevé sans bassiste. Gillen pensant que le groupe sans bassiste , ne peut aller guère très loin , s'en alla lui aussi. Devant cette succession de désaffections , Iommi demande à un ancien tour manager du Sab, Albert Chapman , s'il connaît un chanteur. Chapman lui recommande Tony Martin chanteur de The Alliance , groupe dont Chapman est le tour manager. Après quelques tergiversations , Martin intègre le groupe et réenregistre les 8 titres en une semaine. Ils bossent sur un album qui sortira l'année prochaine et il joue aussi avec le groupe Arms of the Sun sur un album qui sortira lui aussi l'année prochaine. Merci à Pat25 du FCH et du BSF pour l'info. Pas de reformation avant 2012. Mais ça , on s'en doutait un peu. Geezer Butler has revealed that any Black Sabbath reunion won’t happen until 2012. Talking to Noisecreep, the great bassist said of plans for the original Sabbath line-up to get back together: “It’s not going to happen next year. Ozzy’s on tour with his own band for the next year or whatever. The idea of doing another Sabbath tour always comes up. It’s just something that’s always talked about and there if we want to do it. It’s sort of really early days, though. I’m sure Ozzy will say yes and no every week for the next year while he’s on tour”. Black Sabbath’s Live At Hammersmith Odeon is to be reissued on vinyl in the US in January. The album is reissued via Metal Club participating stores on 11 January as a triple LP heavyweight vinyl. The album was recorded over a period of four nights at the London venue in late 81 / early 82. It is widely acknowledged as a superior live album to Live Evil – the other Dio era Sabbath live album. The album was given a limited CD release in 2008, but has long since been deleted. Soyons prudents quant à cette annonce , sachant que Geezer a toujours été très versatile. Now the first two tracks are most interesting. The Fallen is that extra track that turned up on the Born Again demo bootleg from a few years ago. Was a quite interesting track, as it was unknown. Stonehenge is probably the 5 minute extended version that was a B side to some Born again album release (I forget what at the moment - Trashed, probably). The rest looks like live stuff, based on the track listing, and the inclusion of Smoke on the Water. But the Amazon listing doesn't list anything as live, so we'll have to wait and see what the story with all that is. I've requested information from Tony's management and Universal records regarding this situation. When I get it, there will be a huge update, I'm sure. In the meantime, the album is available for pre-order from Amazon's UK site. This will not be released domestically in the US. Which is amusing, as this album has NEVER been released on CD in the US domestically. Ever. Going all the way back to 1983 (yes, there were CD's then, just not very well known or popular yet). J'ai ma confirmation : le live a été enregistré à Reading. Former BLACK SABBATH singer Tony Martin will make a guest appearance on "Ira Imperium", the new album from Cyprus-based metallers ARRAYAN PATH (formerly ARRYAN PATH), to be released in September through Pitch Black Records. Martin will share vocals on the album's title track with ARRAYAN PATH frontman Nicholas Leptos. Commented ARRAYAN PATH: "We are truly humbled to have worked with this amazing singer, one of our all-time favorites! His singing has always been (and still is) out of this world and of course this is also evident in his performance on the song 'Ira Imperium' (The Damned). This is a great pleasure and honor for us and THANK YOU, Tony!" Following the release of "Ira Imperium", a new ARRAYAN PATH album will come out in early 2012. It will be titled "Stigmata" and will also be made available via Pitch Black Records. ARRAYAN PATH recently slightly modified its name "for obvious reasons and the fact that it became extremely annoying for all band members trying to convince others on the meaning of their band's name," according to a press release. "It was decided to simply add an extra 'A' in 'arryan,' thus changing the pronunciation and of course obliterating even the tiniest concern that ARRAYAN PATH is in any way related to Nazism or any kind of racism or other extreme political views." 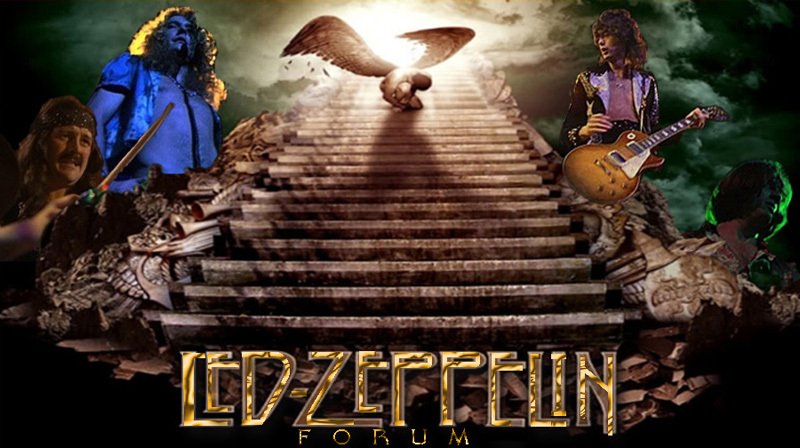 Commented Leptos: "[It] was always evident through our lyrics and live shows but despite our best efforts to try to convince people otherwise, some still chose to look at it differently. What does the new name mean…? Absolutely nothing! The decision to modify our name wasn't easy but we felt it was needed so there you have it. ARRAYAN PATH's music will remain in the same style and 'Road To Macedonia' and 'Terra Incognita' will still be played live and will still be mentioned in our discography." Après Geezer, il y a quelques semaines, Ozzy a confirmé à Dave Basner de VH1 qu'il n'y aurait pas POUR L'INSTANT de reformation du Sab , le Madman tablant sur la condition physique actuelle des protagonistes concernés. "To be honest, I don't think we all can physically do it," he told Dave Basner of VH1 Radio Networks in a recent interview. "I'm up for it, I keep fit every day. I can't speak for the others. I mean, I've spoken to Tony Iommi, I speak to Bill from time to time, I haven't spoken to Geezer for a while, but if it's meant to happen, it'll happen. If it does in one figuration, I suppose we manage to go out. I don't want to say too much, really, because I don't really know." 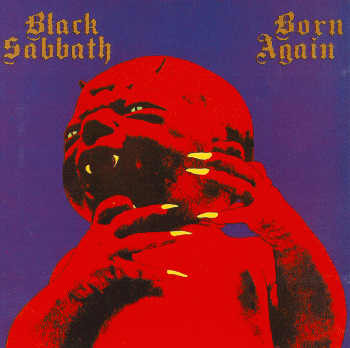 Contactmusic.com a révélé que Jack Osbourne prépare un film d'horreur inspiré et nommé selon l'ancienne formation de son père, Black Sabbath. Dernièrement, Jack a déjà été producteur en coulisse pour le documentaire God Bless Ozzy Osbourne, qui a été lancé au Tribeca Film Festival de New York le 24 avril 2011. Pour le film d'horreur, il orientera le tout vers les pièces classiques de la formation. Il fera équipe avec Marc Weingarten, qui a également co-produit God Bless Ozzy Osbourne. 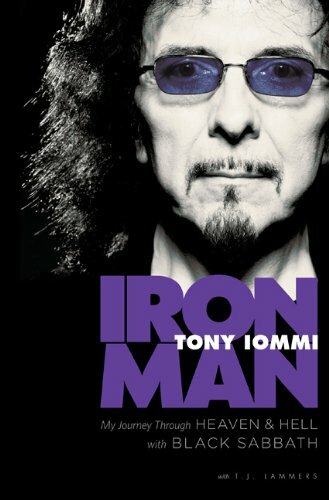 Tony Iommi has a title for his upcoming memoirs. It’s to be called Iron Man: My Life With Black Sabbath And Beyond, and will be published by Simon & Schuster. Says the man himself:: “I’ve been working on it for a long time. We’ve been so busy for the last couple of years it’s been difficult finding the time to do it. But it’s coming on and hopefully it will be out soon”. Si, ça, c'est pas de la news !!!!!!!!!! Black Sabbath The original lineup of Ozzy Osbourne, Geezer Butler, Tony Iommi, and Bill Ward has officially reformed and have begun reheasing for an upcoming reunion tour and possible studio album. According to Talkingmetal.net, Osbourne, Iommi, Butler and Ward came to a decision 14 days ago to go ahead with the reunion, and this morning (Monday 15 August) the group convened in a secret rehearsal studio to begin to begin working on a live set - and what will hopefully be a new album. J'attends, cependant, la confirmation d'un site sérieux genre Blabbermouth. BLACK SABBATH guitarist Tony Iommi has confirmed to Birmingham Mail that the band's original lineup has reunited and is rehearsing for a tour and new studio album. Iommi and singer Ozzy Osbourne wrote new material in June for a record that will be released next year. "We're really looking forward to it and I think the stuff we've been writing is really good," said Iommi. "It's more back to the old original stuff." He added that the reunion has been kept under wraps for some time. "It's all been very hush-hush. Ozzy's been the worst at trying to hold it back. He's doing a lot of TV and he's being asked stuff about a reunion and he's going, 'Well, I never say never.' He told me, 'I don't know what to say." Iommi told the Birmingham Mail that his only apprehension about a reunion of BLACK SABBATH's original lineup was the health of drummer Bill Ward who in 1998 suffered a heart attack. Ozzy was asked by QMI Agency in a recent interview why the four members of SABBATH couldn't seem to agree on playing together again. Ozzy replied, "I haven't got a clue. If they want to call me, they can call me. I never say never. If it works, fine. If it don't, I'll move on. It ain't the end of the world. I ain't gonna get a box of Kleenex and cry my eyes out for the rest of my life." Ozzy added, "I would love to do a great album with BLACK SABBATH. I would love to get the credit we so roundly deserve. At the same time, the pressure would be really intense. I could go tomorrow and make an album with them, but it wouldn't necessarily be something I would be proud of." The original SABBATH lineup has not toured together since summer 2005, and last convened for their induction into the Rock And Roll Hall Of Fame in early 2006. SABBATH did try to record a new album 12 years ago, their first since 1978, but abandoned the attempt after just a couple of songs. Osbourne and Iommi last year amicably resolved their problems over the ownership of the BLACK SABBATH name and court proceedings in New York were discontinued. Osbourne's lawyer, Howard Shire, called that agreement a "red herring" that was "repudiated" when the singer rejoined in 1997 and took over "quality control" of the band's merchandise, tours and recordings." "I'm saddened that a Birmingham journalist whom I trusted has chosen this point in time to take a conversation we had back in June and make it sound like we spoke yesterday about a BLACK SABBATH reunion. "Thanks to the Internet it's now gone round the world as some sort of 'official' statement on my part; absolute nonsense. I hope he's enjoyed his moment of glory, he won't have another at my expense. "To my old pals, Ozzy, Geezer and Bill, sorry about this, I should have known better." SABBATH did try to record a new album 12 years ago, their first since 1978, but abandoned the attempt after just a couple of songs." Va y avoir des tournées ? La reformation a été démentie par Tony Iommi. Je suis navré d’apprendre qu’un journaliste de Birmingham en qui j’avais toute confiance a choisi de reprendre une conversation que nous avons eue au mois de juin et de faire croire que nous avions discuté pas plus tard qu’hier d’une reformation de Black Sabbath. Grâce à Internet, l’information a fait le tour du monde et a été présentée comme une sorte de « déclaration officielle » de ma part, ce qui est parfaitement idiot. J’espère que ce journaliste a apprécié son heure de gloire, il n’en connaîtra jamais d’autre grâce à moi. À mes vieux copains Ozzy, Geezer et Bill : désolé pour tout ça, j’aurais dû me méfier. Sachez d'ailleurs que ce communiqué a été repris sur black-sabbath.com. Comme vous le voyez, Tony Iommi formule des reproches à l'encontre d'Andy Coleman, le journaliste du Birmingham Mail, pour avoir sorti cette information. Toutefois à aucun moment le guitariste, dans ce communiqué publié hier 16 août, ne revient sur ses propos en affirmant ne pas avoir déclaré les phrases présentes dans le papier du Birmingham Mail. L’information principale se situe très exactement là. A la lecture de cette sortie de Tony Iommi, on a l’impression que le guitariste est plus triste de la forme que d’un fond qu’il ne discute pas. Bien sûr il parle « d’idées en l’air » mais dans les faits le journaliste a sorti des infos qui viennent des propres mots du guitariste, des mots précis sans équivoque, et qu’il met naturellement au discours direct. - Soit tous ces propos ont été tenus et toutes les informations évoquées sont fiables. Par ailleurs, et c'est important de le signaler, les déclarations au discours direct dans cet article venant de la part de Tony Iommi, si elles ont bien été rapportées dans un rapport d’artiste à journaliste, revêtent automatiquement un caractère officiel. En effet, ce n’est pas parce qu’elle ne figure pas dans un communiqué sur le site de Black Sabbath ou de Tony Iommi qu’elle perd en sens ou en importance. Le discours donné à un média est, par principe, destiné à atteindre un public et à être relayé. A partir du moment où un média sort une info avec le témoignage de la tête pensante du groupe concerné au discours direct, alors elle devient officielle. Encore faut-il que l’artiste assume ses propos. Sauf si, évidemment, tout cela est une affabulation totale. N’oublions pas, par ailleurs, que la veille de l’article du Birmingham Mail, un autre article d’un autre média, metaltalk.net, mettait déjà en avant certaines de ces informations, corroborant celles du Birmingham Mail qui ont fait le tour du monde. Des éléments venant cette fois de Geezer Butler (basse) et Bill Ward (batterie) qui confirmaient que le groupe avait démarré les répétitions depuis 14 jours en vue d'une future tournée. Il faut bien savoir que beaucoup de gens dans le monde de la musique (labels, artistes, managers etc.) souhaiteraient contrôler l’information des médias. D’autant plus lorsqu’ils sont concernés par l’information. Tony Iommi et Black Sabbath auraient sans douté aimé faire cette annonce eux-mêmes. Mais avec l’expérience que Tony Iommi a du monde de la musique et des médias, il aurait dû (s’il l’avait vraiment voulu…) garder cette information pour lui et ne pas en parler. A cet égard, la phrase « Le plus dur a été de retenir Ozzy » rapportée par le Birmingham Mail devient bien ironique ! D’ailleurs, contrairement à ce qu’affirme l’artiste, le journaliste ne fait pas croire qu’il a eu cette info hier. Bien au contraire, il ne fait pas allusion à la temporalité et insiste seulement sur le fait que les répétitions ont démarré en juin. Date, comme le révèle Tony Iommi, de la conversation qui s’est déroulée entre lui et Andy Coleman lors de l’exposition Home Of Metal qui a eu lieu à Birmingham. Ce qui ressort est que Tony Iommi se dit "navré" que quelqu’un en qui il avait "toute confiance" ait publié un article sur le sujet. En effet, où s’arrête la relation artiste à journaliste, dont les propos sont potentiellement rendus publics, et où commence la relation privée d’homme à homme ? Cette limite relève d’une question d’éthique dont la position est bien souvent très différente suivant les personnes. Internet a encore tous les maux de l’humanité sur cette affaire, il fallait s’y attendre… Mais le fait est que c’est sur la forme que Tony Iommi remet en cause la manière de faire d’Andy Coleman et non sur le fond. C’est le signe que cette information reste fiable. Le journaliste et le guitariste semblent d’ailleurs bien se connaître, auquel cas il n’est pas étonnant que ce dernier se soit livré à une personne qu’il apprécie. Qui plus est, le Birmingham Mail est un journal de la ville d’origine de Tony Iommi et un média qui ne paraît pas vraiment être un Sun local adepte du sensationnalisme à tout-va ou d’un Planet Rock qui analyse les faits à sa sauce. Tous ces éléments tendent à montrer que Tony Iommi a été pris de court et ne pensait pas que le journaliste relaierait une info considérée peut-être, qui sait, comme « off » par le guitariste. En tout cas, le fait d’écrire à propos du journaliste « il n’en connaîtra jamais d’autre grâce à moi. » montre bien que Tony Iommi a pris cet article comme une attaque personnelle venant par derrière ! Ce communiqué montre donc une tendance au règlement de compte en public avec Andy Coleman. Mais le fond du problème évoqué plus haut reste le même. Seuls les faits – nous vous engageons à ne pas oublier cette affaire si dans quelques semaines nous apprenons que le groupe joue en tête d’affiche des festivals européens pour promouvoir son album prévu pour mai 2012… - et/ou les éventuels démentis clairs des propos tenus dans cet article du Brimingham Mail, montreront si Andy Coleman a en réalité bien fait son travail ou non. Car en effet, nous ne sommes à l'abri de rien dans le milieu journalistique et si nous apprenions prochainement un mauvais coup quelconque dans la manière de faire d'Andy, alors nous n’hésiterons pas à dénoncer une pratique peu scrupuleuse qui cause régulièrement du tort à toute la profession. De nouveaux éléments on été dévoilés. Le Birmingham Mail s'est en effet aujourd'hui rapproché de Ralph Baker, le manageur de Tony Iommi, à défaut d'avoir pu décrocher une nouvelle entrevu avec le guitariste qui a, comme il l'a annoncé, refusé l'invitation. Selon le journal, Baker refuse de démentir l'information comme quoi les quatre membres originels de Black Sabbath ont l'intention de se réunir mais avoue être fâché que l'article ait été publié. Un article qui, toujours d'après le Birmingham Mail, a eu pour conséquence la saturation puis le crash du site de Tony Iommi de par l’afflux des fans suite à la nouvelle. Lorsque Andy Coleman demande à Baker si l'article qu'il a rédigé faisant état de la reformation était faux, celui-ci répond au nom du guitariste : "Non, il ne dit pas ça." Mais Baker ajoute, "rien n'est en place. Il ne nie pas que les gars en ont parlé mais rien n'est tel que les affirmations que tu as faites laissent entendre. Il te les as dites en juin et il a le sentiment qu'il l'a fait de manière confidentielle." Des propos qui, s'ils sont exacts, vont donc bel et bien dans le sens de notre analyse. Radio Métal se serait très vraisemblablement inspiré de cet article de Rolling Stone paru aujourd'hui. Ce que l'on peut dire c'est que "Petit Tony" a été dépassé par les évènements.